Jake is a normal house cat. . . . almost. With a nightly job at the law firm Figgens and Co., he and his co-workers keep the court system running smoothly. When things get weird, the skilled cats must go above and beyond the call of duty to fix the problems. But sometimes, it&#x2019;s not that easy. . . .
Eve Rich is 13 years old. 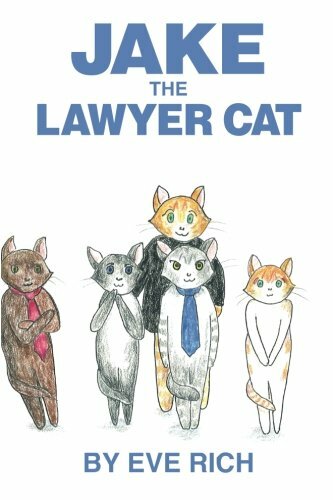 Jake the Lawyer Cat is her first book. The stories were inspired by the real Jake the Cat. Yes . . . Jake is real. He&#x2019;s a much-loved family pet and always does hilarious things. As of the writing of this book, he was 2 &frac12; years old.